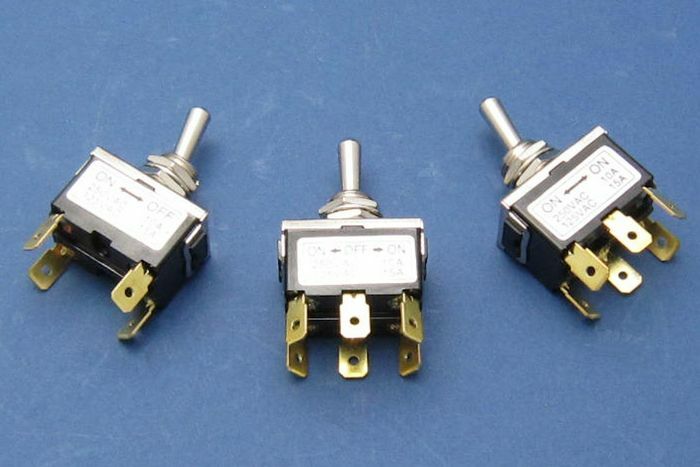 Metal toggle switches with plated levers. 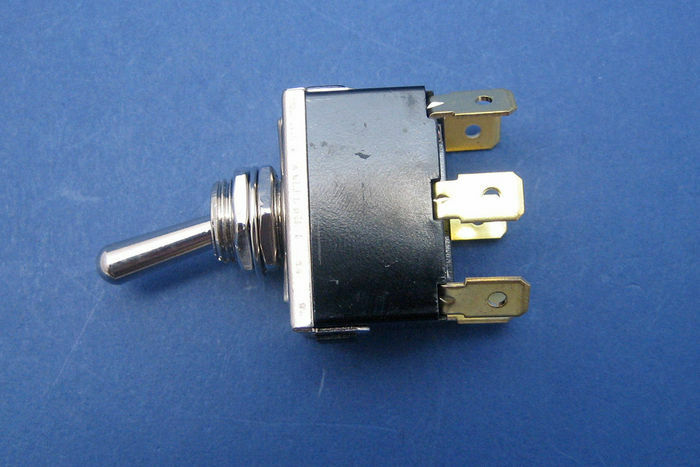 All have 6.3mm blade terminals and require a 13mm panel hole. 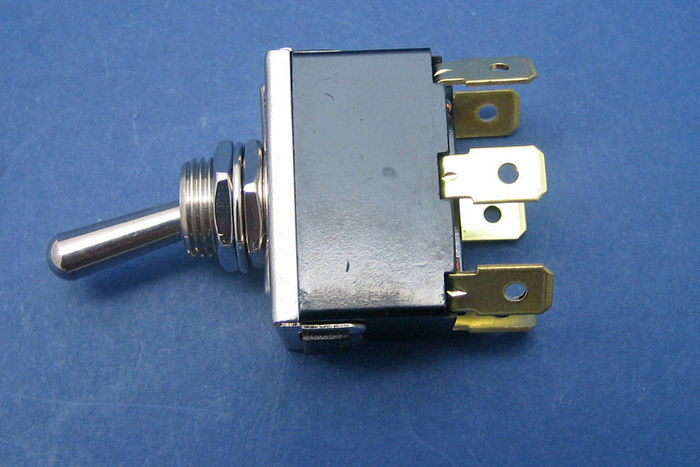 Current ratings 16A at 12V. 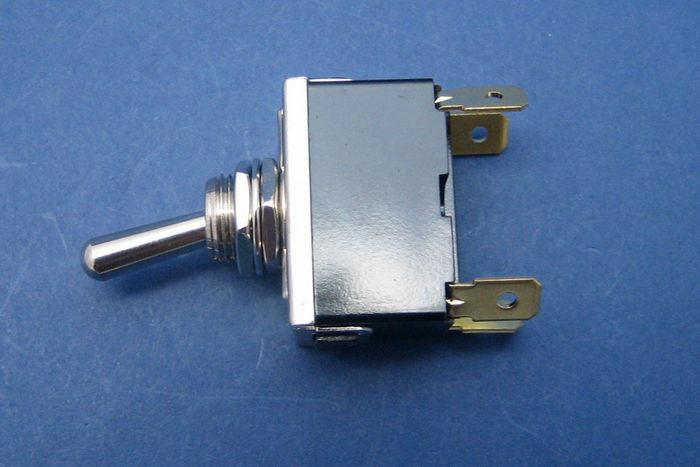 Rubber waterproof toggle covers are available for these switches, part number 080302. 080201 On/Off, 2 positions, 4 terminals. 080202 On/On, 2 positions, 6 terminals.